Bhubaneswar: Union Minister Dharmendra Pradhan on Thursday said the BJD should decide the time and venue as he was ready for a debate with Chief Minister Naveen Patnaik. Minister Pradhan said this after BJD leaders challenged BJP national president Amit Shah’s statements and challenged the Central Ministers for a debate. Reacting to the criticism of Shah in a Press conference by BJD leaders, Pradhan said, “It is just like the devil reading the Bible.” He also criticised the BJD leaders for doing nothing except acting as per the writing by the clerks of the Third Floor. He also flayed CM Patnaik for being an expert host who treats guests at other’s expenses. 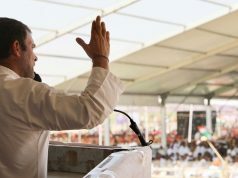 Commenting on Deb’ statement about what is new about the Centre providing funds under the 14th Finance Commission and for the State’s development, Pradhan said while earlier even Rs 1,000 crore was not being allocated to Odisha in the Railway Budget, in the last Budget Rs 5,100 crore was allocated to Odisha. Besides, the Modi Government has sanctioned 4,800 km of National Highways for Odisha. After seventy years of independence, NHs’ length was confined to 4,500 km in the State, Pradhan said. 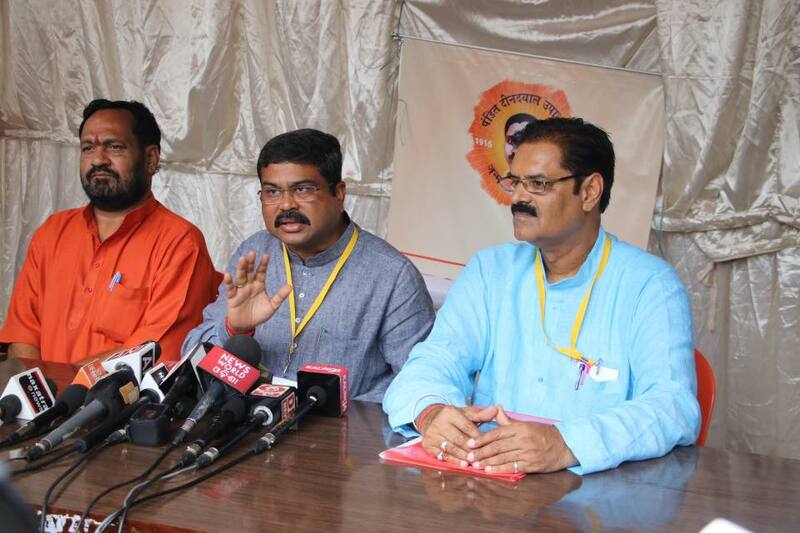 Addressed a press conference at Bhubaneswar Minister Pradhan Highlighted the BJD’s inability to take criticism which is an integral part of any democratic setup. A party which puts itself over and above criticism has no right to be in politics. People of Odisha will soon show them their rightful place. Pradhan also said that the Central Government has supplied LPG Gas to 50 lakh households in Odisha, including 15 lakh poor. The Union Minister also questioned the BJD Government as to why it was not paying bonus to the farmers over the MSP of paddy like the Chhatisgarh Government which has decided to pay bonus to the farmers and the MP Government which is ready to bear 70 per cent of the cost to be paid to the farmers as per the Swaminathan Commission recommendations.